Climate 2020 is a major report on the new climate framework, which is due to be agreed by UN member states in December this year. 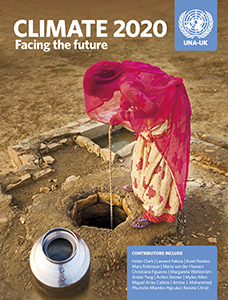 Released at the opening of the Bonn Climate Change Conference on 1 June, Climate 2020 builds on our two prior reports for UNA-UK, Global Development Goals, which focused on the post-2015 development agenda. 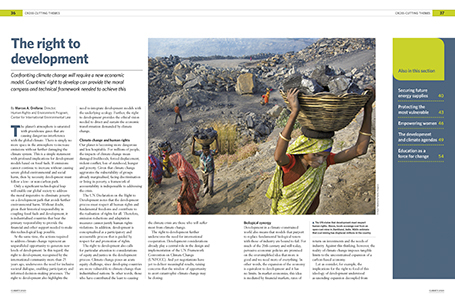 With articles from over 50 expert contributors, ranging from the Carbon Trust to the UN Development Programme, Climate 2020 considers the prospects for the UNFCCC meeting in Paris this year, including the potential for interaction between the proposed climate agreement and the Sustainable Development Goals. Together, the articles provide a source of ideas, practical actions, analysis and case studies on how to develop a climate framework that is equitable, achievable and able to deliver long-term benefits to all. The publication is edited by Natalie Samarasinghe, with articles from leading authorities, including Mary Robinson, Christiana Figueres, Laurent Fabius, Helen Clark, Achim Steiner, Nebojsa Nakicenovic and Rachel Kyte.